If you don’t want an infestation of crickets, spiders or crawling insects to take over your home or business, contact Latin American Exterminating Pest Control & Exterminator. We are able to provide you with the help you need in order to avoid an infestation of this type. In Long Island, New York, many people rely on our services in order to avoid an infestation of any type. We perform routine maintenance for those who request our services at Latin American Exterminating. Maintenance allows our local technicians to keep a small problem from growing into a full-on infestation. Although small in nature, these types of pests can become a real threat to you and your loved ones in the Nassau County, New York area. Some of them are even dangerous because they are poisonous and native to Long Island. You may not be able to identify the ones that are dangerous because you lack the necessary training to identify them. Our local Nassau County exterminators have the training and the experience that enables them to effectively find out exactly what the problem is. 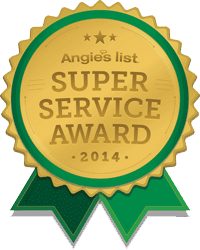 If you have attempted to take care of the situation on your own but weren’t successful in doing so, it is time to call on the services of the preferred pest control service in Nassau County at Latin American Exterminating Pest Control & Exterminator. If you have a spider or insect infestation, don’t take chances by not contacting the professional services of a local Nassau County exterminator. Latin American Exterminating Pest Control & Exterminator is the preferred pest control service in Nassau County, New York. We deliver the quality of services that our customers have come to expect of us. Our local Nassau County exterminators will be able to easily identify what type of pest infestation problem you have. With so many different types of spiders and insects that exist, you can’t be too careful. Since some are poisonous, it is important that you have the problem taken care of ASAP. We would hate for someone to be bitten by something that is poisonous or deadly. We want you to understand the seriousness of seeking professional pest control services at Latin American Exterminating. Some of the venomous spiders to avoid in Nassau County (and contact a professional to remove immediately are): the Yellow Sac Spider, the Brown Recluse Spider, and the Southern Black Widow. The yellow sac spider is a pale yellow color and is accompanied by a large set of fangs in Nassau County, and they weave small sacs to protect themselves and their young and are often found on plants inside of homes searching for prey. These were once the only spider in Long Island, New York that was considered venomous to humans until the arrival of the southern black widow. The black widow is one of the most venomous and dangerous spiders in the world, and you can tell the Long Island, NY, native by its shiny bulbous body with either a red or yellow or white hourglass on its underbelly. The yellow sac spider has venom that will cause itchy sores; its bite is virtually impossible to tell the difference between that of a brown recluse spider bite in the Freeport area. And Latin American Exterminating Pest Control will remove spiders from your home or building and work to ensure that they do not return. Latin American Exterminating Pest Control and Exterminator is located in Freeport right in the heart of Nassau County, New York. Get Same Day/Next Day Service from Latin American Exterminating Pest Control and Exterminator now! Call 516-247-6402 for Immediate Assistance!